Disclosure: My contributor received the following for review. All opinions are her own. I got my son started on Legos at an early age to inspire his imagination and creativity. When my son, Mason, was four years old, I bought a large bin full of Legos pieces from another momma in the neighborhood. Legos was an instant hit with him. He spent eight hours the first day playing with it. Mason is now seven years old and his enthusiasm for Legos hasn’t wavered. If anything, it has grown. He can still play with Legos for long periods. Over time, I felt many of the kits repeated the same building challenges and did not provide Mason an opportunity to develop new skills. Even the Legos after school enrichment classes that he attended didn’t seem challenging enough. Just by looking at the packaging, I could tell that E-Blox is not your normal building blocks. There are over 100 pieces all neatly stacked in compartments. 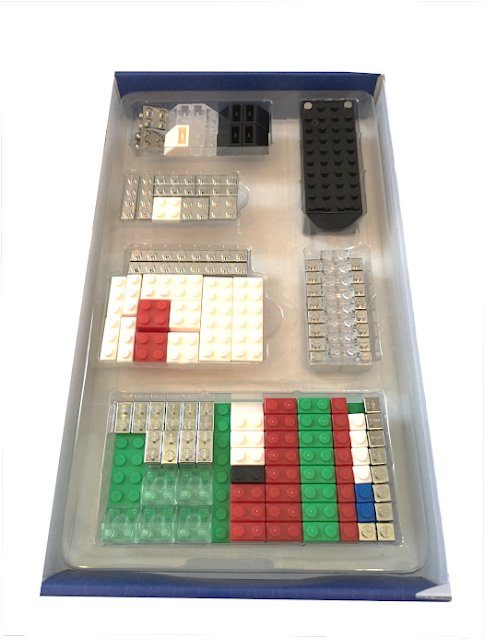 The blocks come in various colors (black, blue, red, green, white, silver, and clear). The silver (tin) and clear pieces adds a wow-factor to the packaging, making the kit look even more special than your typical Legos set. 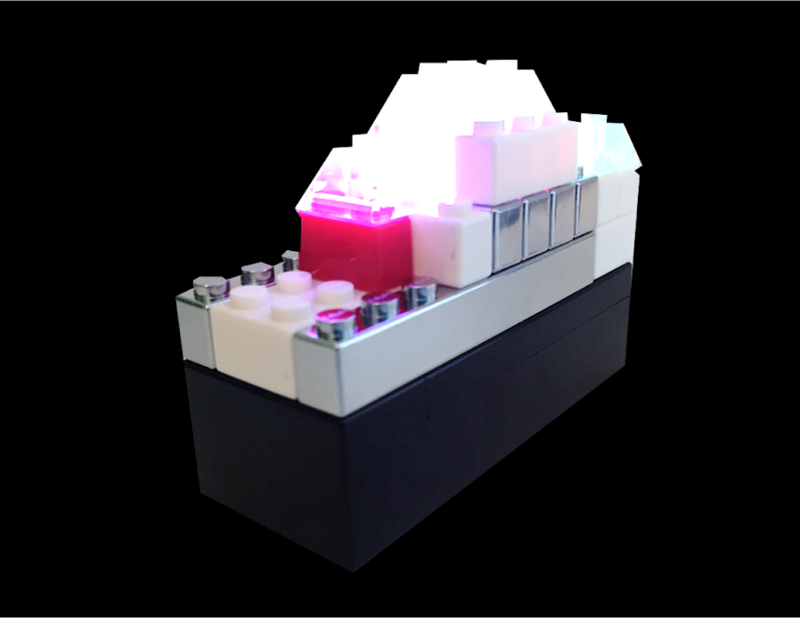 The E-Blox kit intentionally comes with no instructions to get minds thinking. And that I had to do! There’s no wires in the kit. Instead, E-Blox has a large black battery block that acts as the power source. The battery block has two terminals. One terminal is marked (+), or positive, while the other is marked (-), or negative. To get electricity flowing through the blocks, we connected the cool looking, tin-plated blocks to the terminals. In the very first tinker, I could see both the figurative and literal light bulb go on! Mason was hooked, and I have to admit it made building blocks exciting again. 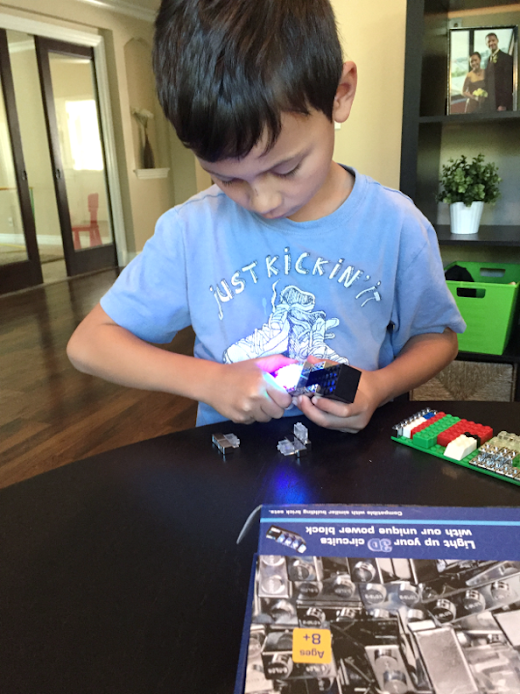 This was Mason’s first exposure to electrical currents, so it was wonderful to have it combined with something he loves, Legos. After giving Mason a brief explanation of how to get the electrical currents flowing, he began making his own designs using the new concept that he just learned. I love how the E-Blox pieces instantly give feedback on whether he was connecting the circuits properly or not. When the pieces lit up, it let him know he was doing it right. When it didn’t light up, he had to rethink and rework his design. 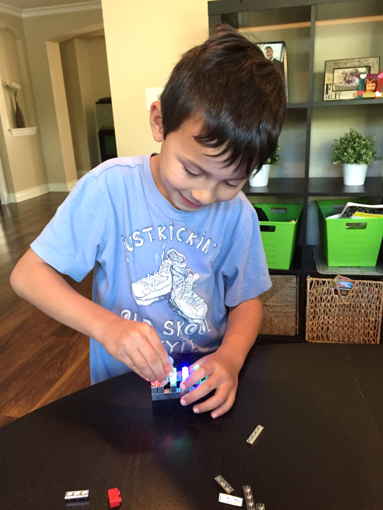 As Mason continues to play with the E-Blox, his curiosity about electrical currents increased and he started challenging himself by building more and more complicated designs. He also started to incorporate his existing Legos pieces into them. Overall, I’m highly impressed with E-Blox. What a neat and fun way to introduce kids to electrical currents! 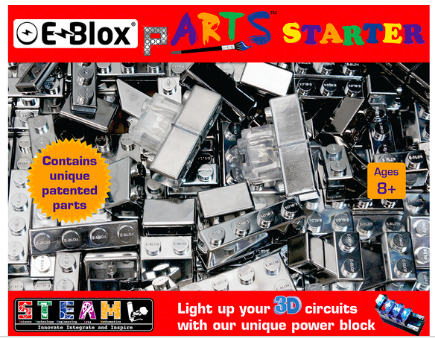 The package suggests that the E-Blox pARTS Deluxe kit is for kids ages 8 and over. But, I think that it could be appropriate for younger kids as long as they are familiar with Legos. 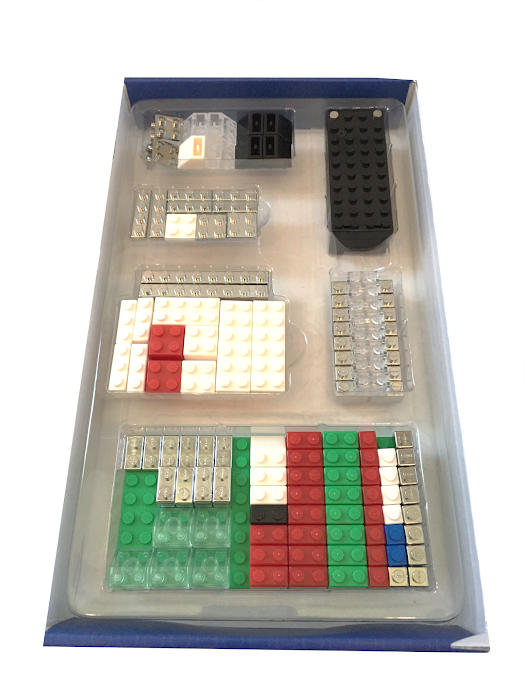 I’m actually very tempted to share the E-Blox kit with my son’s school STEM lab because I think that everyone should be exposed to it at a young age! 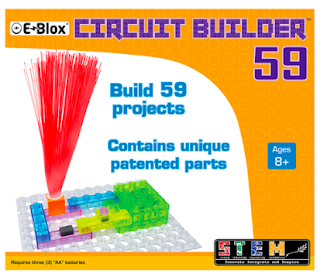 One Winner will Receive Choice of Circuit Builder 59 or the pARTS Starter Set! My daughter loves Legos; she would really enjoy building with this. I actually agree to a few points that you have mentioned in this publish. I recognize that you have shared some reliable guidelines in this evaluate. My kids would love this because they love to build things! I love that there are so many sets to choose from!